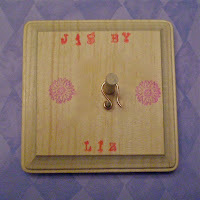 a handmade earring jig. In the craft stores there are cute little jigs available, but they're hard to work with and the plastic pieces break easily. I've taken the time to build a jig out of wood, dowel rods, screws and wood glue. 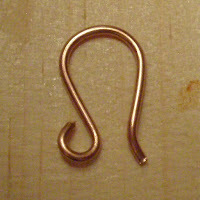 This jig makes a basic french wire. You can get the same results time after time. These are now available for sale on my ETSY supply shop "gottagettadeal" for $9.00.